How is the championship shaping up? Five races in and the margins at the top of the standings are razor-thin, with just two points separating the top four drivers. Great Britain’s Sam Bird (Envision Virgin) holds a one-point advantage over Belgium’s Jerome d’Ambrosio (Mahindra), with Lucas di Grassi of Brazil (Audi Sport) and Switzerland’s Edoardo Mortara (Venturi) just one point further behind. In the constructors’ championship, British-based Envision Virgin Racing have an 11-point lead over second-placed Audi Sport Abt Schaeffler, with India’s Mahindra Racing three points further adrift. What happened in the Hong Kong E-Prix? British driver Sam Bird seemed to have taken the win in Hong Kong – before a five-second time penalty handed the win to Venturi’s Edoardo Mortara instead. Bird had crossed the line ahead of his Swiss rival but was dropped back to sixth after a collision with Andre Lotterer. The German had been in the lead until he was hit by Bird, later describing Bird’s move as “disgusting”. Former Formula 1 star Stoffel Vandoorne had taken pole in damp conditions but was one of eight drivers forced to retire, the most in Formula E history, during its 50th race. Follow all the action from every race of the new ABB FIA Formula E Championship across the BBC. The championship consists of 11 teams and 22 drivers competing over 13 races, finishing with a double-header in New York. Live coverage will be available to watch on the Red Button, Connected TV, BBC Sport website, mobile app and the BBC iPlayer. Rachel Stringer meets Sam Bird, the British driver battling it out at the top of the Formula E championship standings. Bird currently sits in first place in the drivers’ championship – but he’s just one point ahead of Jerome d’Ambrosio and this season is promising a very tight race for glory. Drivers race super cool electric cars, battling it out on the streets of famous cities all around the world to win the title of Formula E Champion. And of course, it's all about the cars. They're futuristic, colourful and full of personality! Our friends at CBBC are giving you the chance to get creative and customise your own Formula E car here. The FIA Formula E Championship is the world’s first all-electric single seater series and is in its fifth season of competition. The 13-race calendar started in December and will run until July, finishing with two races in two days in New York City. A new car has been introduced this season that has a longer battery life, eliminating the need to change cars during the race, while BMW and Nissan have joined the rapidly growing list of manufacturers. The 45-minute long races feature a number of ways to add extra excitement, with drivers able to use ‘Attack Mode’ and ‘Fan Boost’ to help overtaking while there are bonus points for pole position and fastest lap. Watch our guide to Formula E which explains how exciting features like attack mode and fan boost can affect the in-race action. British driver Sam Bird talks us through Formula E's best moments since its debut in 2014 and why it's 'more exciting' than F1. 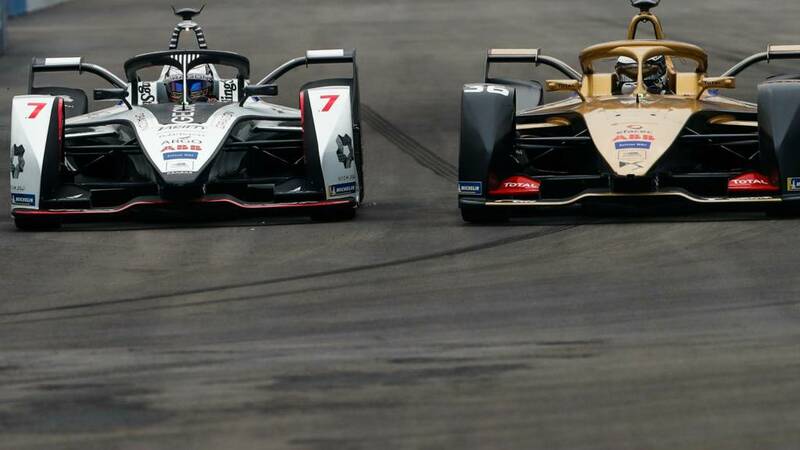 From 'unbelievable' street circuits to former Formula 1 drivers in 'mega' cars, BBC Radio 5 live commentator Jack Nicholls tells us why Formula E is a must-watch. The new Formula E season gets under way on Saturday, 15 December, and you can watch all 13 races live on the BBC. Test your knowledge with our quiz.